HomeAim High Profits News HJOE | Is Hangover Joe’s The Best Penny Stock For 2013? HJOE | Is Hangover Joe’s The Best Penny Stock For 2013? For penny stock investors who have been around for awhile, it’s no secret how bullish we are on Hangover Joe’s Holding Corp. (OTC: HJOE) for 2013. Last week, we issued out a press release on how we think HJOE stock could be the best penny stock for 2013 we’re so confident in our expectations of which direction the share price is headed. With the movie, The Hangover Part III, scheduled to debut on May 23, 2013, the investors getting in early are likely to be sitting in the front row, VIP, when the shares top out on the OTC Box Office. There’s no wedding, no bachelor party, so what could possibly go wrong? You can put the blame for the bullishness on Monster Beverage Corp. (MNST) or Bebida Beverage Company (BBDA) for the bullish sentiment on Hangover Joe’s. Either way, HJOE stock trades north of $0.50 at some point this year or I shave my head and post it on Youtube. A risk worth taking after Hangover Joe’s was awarded “Best New Shot of 2012” by CSN Magazine.Frankly, there are too many factors lined up for this already aggressively accepted beverage stock to go right this year. First of all, Mike Tyson is in the new movie (see here) which many have been hoping for after his “One Night In Bangkok” performance. But more importantly, just look at two of the 8-K’s Hangover Joe’s has filed with the SEC and make your own decision. These both indicate that they don’t want investor money, they want deeper pockets than the crumbs penny stock traders are able to throw at HJOE — Acquisition Money. See the two 8-K’s here and here. Revenues are growing and anyone who has already spotted the products in convenience stores around the U.S. can attest that they aren’t collecting dust. Don’t believe it, ask the clerk. The one’s I have spoken with all say they it sells. The proof is in the recent 10-Q which reported net sales of $736,081 for the nine months ended September 30, 2012 versus $118,209 for the same period the year prior. Without being a nerd about it, that’s an increase of over 500% and in-line with Hangover Joe’s projected sales for the first year after re-branding the product. I’ll take those revenue numbers on a non-Nevada registered, non-Delaware registered company any day of the week and twice on Sundays. On July 25, 2012, Accredited Members, Inc. entered into an Agreement and Plan of Merger and Reorganization with Hangover Joe’s, Inc., a privately-held Colorado corporation, whereby on July 25, 2012, the Company acquired Hangover Joe’s in a reverse triangular merger by issuing 83,514,827 common shares to the Hangover Joe’s shareholders in exchange for all of their ownership interests in Hangover Joe’s, approximately 69% of the Company post Acquisition. The shareholders of the Company prior to the Acquisition owned approximately 31% of the Company post Acquisition. 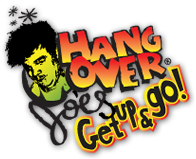 As a result of the Acquisition on July 25, 2012, the Company changed its name to Hangover Joe’s Holding Corporation. Click here to review the SEC filings for HJOE. Bottom Line: As the movie premiere approaches, HJOE is one of the penny stocks traders will be checking in on all year. HJOE stock tops our list of penny stocks for 2013 for a number of reasons. For those who approach this as an investment rather than trying to flip it, you could find yourself buying tickets for all your family and friends come May for the Hangover Part III as your victory lap. Last updated by Timothy Richards at January 2, 2013 .